Happy Sunday, Everyone. 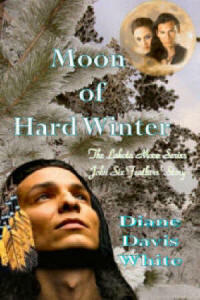 Today I am promoting the latest book in my Lakota Moon Series. The subject matter in Moon of Hard Winter is rather sensitive since it deals with the massacre at Wounded Knee Creek in 1890. This book is labled romance, and there is romance in the read, but it also touches on an incident many consider to be the last 'uprising' of the Native American. Well, it wasn't an uprising, it was a slaughter of old people, women and children, by the troops of the United States Army. How this came about is said to be an accident by some, and other's beleive it was deliberate. Meant to send a message to the Indians that they would not survive if they fought back. It was a pretty loud message, and the worst part was the Medals of Honor given to the participating soldiers. Okay, enough of my soap box. Below is an excerpt from the book and keeping in mind that I am a romance writer, not an activist, please enjoy the story. Available Now from Nook or Kindle! John Six Feathers believes the truth of what happened at Wounded Knee one-hundred and ten years ago has not been told. He wants to see the medals of honor given to soldier's who participated in the slaughter of women and children removed. Faith Donahey believes the truth is more than just an overall picture, and her great-great grandfather deserves the medal of honor he received, despite what the Lakota say. A horrible accident on the highway, a spiritual intervention, and the truth as they knew it becomes the truth as they will tell their children and their grandchildren down through time. John Six-Feathers looked over the windswept prairie, his mind focused on the cries of women and children as they ran to escape the carnage. Voices that carried faintly on the breeze, echoing down the years from a time long past—overshadowed by the ricochet of bullets as they flew at the innocent, the elderly, the helpless. Loud in the silence, their screams of terror reverberated in his mind, drained his soul of all but anger. This place of death filled him with anguish and a deep, unrelenting sorrow. The long trench—a mass grave—held the bones of ancestors, some of them his own. Neglected and overgrown with weeds, the small patch of earth was surrounded by a chain link fence to keep away those who might walk on the sacred ground. Tourists—absent now during these cold, bleak winter months—forever snapping pictures, mouthing their phony sorrow, while secretly delighting in the downfall of the savage. His blood surged in fury at the memory of those wealthy Anglo-Americans driving their RV's and SUV's, sucking the very life out of the hemisphere with their gas fumes. He tried not to hate them, but it was a losing battle. Though dead winter, the air was calm, a faint ray of sun pushing through the clouds. John waited, his senses fine-tuned. Then a chilly wind came briskly out of nowhere and prickled his flesh with goose bumps. A shimmering, nearly translucent form took shape next to him, staring out over the Prairie just as John did. Unsurprised, he cocked his head at the sound of a familiar voice telling him again what it had always told him. He wanted to shy away, but as usual, fascination held him in place as the spirit voice began to speak. "They are saying Black Coyote refused to give up his weapon because he could not hear their words." Holds The Sky looked sideways at him. "They say the soldiers thought him defiant and rushed to take his gun. There was confusion and his rifle went off accidentally. Thus, the fight began." "What fight? The massacre of women and children is hardly a fight." John Six-Feathers smiled at the ghostly figure of his companion, but it was a cold, grim curving of his lips, chilly and forbidding like the stone his heart had become. "They are liars, all of them. Merely a convenient way to excuse the brutality and vileness of their actions." An indifferent shrug was the specter's only answer and John glared at his companion. "You know the truth of this. Why do you treat it as unimportant?" "You have come seeking truth, but you must open your eyes and your heart before the truth can enter your spirit," the Medicine Man responded. "If what they say is factual, then why did our people not make it clear to Black Coyote? 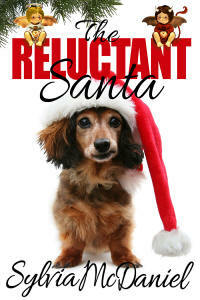 It was a simple thing to use signs to explain what was wanted," John responded, stubbornness filling him. "I know these people lie. They have always lied." "It happened so quickly," Holds the Sky explained softly. "There was no time." "He must have known when they came there what would be expected. The others knew," John insisted. The tenacity that ruled him roughened his voice, making him edgy. "Black Coyote did not move as quickly as the others," he argued, "…and they attacked him, caused him to fire his rifle. The soldiers chased women and children across the land, shot them down like dogs." He stared at the apparition with a hostility that matched his words. "How can you defend them?" "I defend nothing. I only speak their words. I was not here that day. I came later and to my regret, the people were dead upon the ground. It was a sorrowful thing to see their frozen bodies, their lifeless eyes. "We were told it was all a mistake." Holds the Sky bowed his head, voice mournful. "It was not supposed to happen like that." "The soldiers surrounded our people. They had big guns to slaughter all who were there. It was intended to be a massacre. That is the only truth. I will listen no more to excuses for the cowardly dogs who murdered helpless innocents." "Then I cannot help you. Until you open yourself to acceptance you will learn nothing...."
He heard the forlorn sigh of the old shaman as he turned away. Heard his words drift on the hollow wind. Felt the dreadful isolation as the spirit departed. "Who are you talking too?" An amused female voice had him whirling around to see a beautiful woman with bright blue eyes laughing—apparently at him. He stiffened at the presumed insult, hiding his emotions with a mask of indifference. The woman's lips curved in a generous smile as she gazed back at him, head tilted as if expecting him to answer her question. Windblown curls of rich, dark brown framed her delicate features, giving her a waiflike air. Her innocent appearance did not match the shrewd intelligence in her eyes. Dressed casually in jeans and worn cowboy boots, her black turtle neck sweater clung to generous breasts before curving inward on a slender torso then flaring over the gentle swelling of her hips. An LL Bean windbreaker was slung carelessly over her left shoulder, along with the strap of her knapsack. He stared at her beauty, fighting not to be drawn by the charm of her soft womanly smile. She was not Lakota. She was white. "Do you not speak English?" she queried, seemingly unaware of his hostility. "Of course I speak English...when I have to." Stung by her accusation that he could not understand her, he spoke quickly—despite his resolve to remain silent—and turned his back as he did so. "What business do you have in this sacred place?" "Forgive me, I should have introduced myself." As she spoke, she moved to stand in front of him, again giving the impression that she was either unaware of his rebuff —or chose to ignore it. She stuck out her right hand. "I am Faith Donahey. Archeologist and Paleontologist with a singular interest in Native American history. 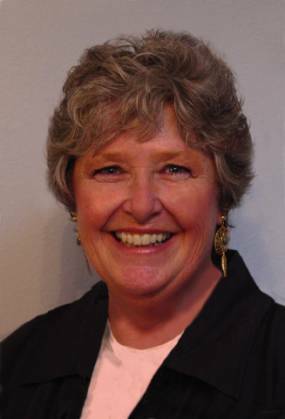 Specializing in Lakota history, with a personal interest in Wounded Knee—"
"Enough, lady. I get the picture." He knew he sounded sarcastic, and didn't care as he stared at the hand for a long moment before taking it in his own. Her skin was soft, yet, unexpectedly, her palms calloused. Not the hand of a woman of leisure, for certain. A hum of energy passed between them. John let go reluctantly when she tugged out of his grip. "What picture is that, Mister…?" Light, almost lilting in tone, her voice wrapped around him like a warm blanket on this cold day. Comforting. Gentle. He shook it off, irritated with himself for responding to her beauty and the magnetism between them. He ignored the innuendo that he supply his name and did his best to disregard the sensations she evoked in his otherwise cold heart. "You are trespassing here." "I most certainly am not," she replied with calm dignity. "This is a public monument." "Yes, and that is unfortunate. Still, I am having a private moment. I meant you trespass on me, not this place." He regretted his words the moment he spoke, as her eyes went dark with embarrassment, her mouth forming a grim angry line that replaced the sweet smile. He'd insulted her; hurt her and regret speared him, urging him to make amends. How could this be? Why should he care for her feelings? He ignored his conscience. "I suppose you think because I'm not one of you, I have no right to be here." Her voice had lost some of its confidence, but her gaze remained steady, if not warm. "I happen to have ancestors who died here, too, you know." Stung by her insinuation that the white soldiers might deserve reverence or remembrance, he clinched his hands into fists. "Really? Did one of them fall in a chuck hole and break his neck while chasing down Lakota women and children with a long sword?" "How unkind of you." She seemed to draw in on herself at his strident speech and turned away, her back stiff. There was something so forlorn in the line of her posture that again John wanted to retract his words. She had done nothing to deserve it. He stepped forward, touching her arm. "Wait. I apologize." The same zing of energy passed between them as before and he dropped his hand quickly. "Think nothing of it," she responded frostily, still facing away. "Though my intrusion was unintended, I shouldn't have approached you. I could see you were deep in thought." She took a few more steps before turning to face him. "So deep in thought you were talking to yourself. It should have been a deterrent to speaking to you in the first place." "I'm not crazy," he croaked, pulling off his Stetson and running one hand through his hair. "I come here to seek wisdom...and I talk to the spirits." Stunned, he could not believe he'd just told her that. He backed up a step then turned and hurried down the slope, hoping to get away before he could hear her laughing at him. John, he reprimanded himself, you are a complete idiot. The clouds darkened to a slate gray as he hurried toward the place where his truck was parked. Damn, he'd known a storm front was moving in, but the weather report had said this evening, not now. Frowning, he recalled the contact he'd had with Holds The Sky. Certain he would have gotten some answers if she'd not come along and spoiled it, John wanted to howl in frustration. Even though his Spirit Guide had left him in disgust, he would have come back...wouldn't he? If not for the woman, he'd have come back. John was certain. The first fat snowflakes hit his face when he was thirty feet from the road, then quickly became a steady curtain of white, driven by the rising wind. Head down, wishing for his parka, he bent into the gale. It had been cool, but dry, thirty minutes ago when he'd climbed the hill. Now he was soaked through. Raising his eyes, he saw the swirling white gather momentum as the storm began in earnest. He looked back at the hill, wondering if the woman had stayed, but saw only the snow spattered hillside and the monument, partially blanketed by a layer of white. Then movement caught the corner of his eye and he saw her running toward her vehicle, and relief filled him that he wouldn't have to go back and rescue her. Moments later he was inside the warm, dry cab, fumbling with the heater while inserting his key in the ignition. The engine turned over with a reassuring purr, the big sound as he revved the motor giving satisfaction. He backed up slowly, mindful of the slick, partly frozen ground. Suddenly, she was in his field of vision again, face red with cold, her clothing draped in falling snow as she pounded on the window of her Lexus, obviously frustrated. He slowed, watching her from a distance, wondering what was wrong, then it dawned on him she'd locked herself out of the vehicle. He thought of the tools in the toolbox behind the cab. He wasn't supposed to use his jimmy for the public. A reservation cop needed such tools, but generally to access abandoned vehicles and the like. Still, to leave the woman stranded wasn't right either. He sighed and pulled up next to her, lowering the passenger window. She didn't turn around when he called out. He realized she couldn't hear him over the howling wind. He realized she could hear the truck engine, though, and decided she kept her back to him on purpose. Irritation stabbed him, and he fought it down. He needed his impartiality now as he'd never needed it before. Sensed the woman's presence was more than just casual. Something in the bitter cold wind screamed a message of foreboding. The woman obviously thought him incapable of aiding her, or perhaps, she thought someone else would come to her rescue. They were the only two persons here and he couldn't help but wonder at her foolishness. Sighing at the stupidity of it all, he slid out of the warmth and comfort of the cab, flipped open the toolbox and pulled out the Slim Jim. Coming around the back of his truck, he approached her with caution. She might freak if he touched her again, and he didn't want to startle her. "Excuse me," he called, still a few feet away. "Do you need some help?" She swung her head around, wet curls splayed against her forehead and cheeks as she gazed at him. Her startled look—coupled with a screaming wind so loud he couldn't hear his truck engine—told him she'd not been aware of his presence after all. The eyes that had shown bright blue were now dark turquoise, obviously a mood change. She nodded, seeming reluctant. "I locked my keys in there." "I can get them, if you'll step aside," he said in a deliberately polite, professional voice. Something about her scattered him, like he'd been kicked by a mule. Or hit by a truck. He couldn't seem to relax in her presence. It exasperated him. When she stepped back, he moved forward and set the Slim Jim into place, slipped it down inside the car window, working it carefully. Within moments, the lock popped and he opened her door, stepping back. "Thank you, Mister…?" The question in her voice said she was still trying to pry a name out of him. He shrugged. "Not Mister. Just John Six-Feathers." Giving in to the urge, he smiled, though he normally kept his smiles close, kept his face impassive. Especially with the Anglo-Americans. They had no right to his private thoughts. This woman, however, seemed to drag him away from his normal demeanor. "Well, thank you John Six-Feathers," she said. "I'd better get out of this storm. You too," she added with emphasis, gazing at his snow covered shoulders. With that she slipped into her car and closed the door, giving him one brief smile before she started her engine. "Be careful…there is already ice on the road," he called as she pulled away. She nodded and waved, smiling slightly, though he could see her concentration was on driving. He stood there, snow doing its best to bury him in a white mound, watching her pull out of her space. Belatedly he realized how foolish he must look—gawking like a green boy—and pulled his jacket collar up, glad for the warm sheepskin against his neck. Were she a Lakota woman, he wouldn't feel this anger and resentment at the attraction. He would act on it, and the idea of kissing this woman left him weak-kneed which made him angrier still. Annoyed with himself, he sloshed through the muddy snow to his truck, cold, damp and spiritually let down. He figured he'd better get home and change his clothes before resuming his duties. He'd seen pretty women before, and most of them were his kind. He didn't even like pale skinned women. They were not to his taste. Then why was he wishing he could see her again? He climbed into the cab and started the engine, sat in the warmth, letting the heater take the chill off. Minutes later, the radio crackled into the cab, and he reached for it quickly. "Officer Six-Feathers here. Come back." he released the button and listened as his dispatcher told him of an accident on the highway. "I'm on my way," he responded, already moving forward, his siren bar flashing. Rounding a curve, his back tires skidding on the icy pavement, he corrected the big truck, heart in mouth. All he needed right now was an accident. The truck wasn't paid for by a long shot, and it had been his decision to use his own ride other than the one provided by the council. He slowed as he saw the scattered vehicles on the road, and his heart stopped beating for a second as he spied the silver Lexus crushed against the rail, pushing the metal barrier outward at an odd angle. There was a sixty foot drop into the gorge. John began to sweat as he turned off the engine and stepped out of the truck. That woman was inside—he could see her dark curly hair against the window. What had she called herself? Faith? Faith opened her eyes slowly, seeing nothing at first but a fuzzy white glow. She shifted in the seat and her heart thundered as the car moved and swayed. Afraid to look—afraid not to look—she turned her head slowly and saw the passenger window tilted slightly downward. A deep gorge lay beneath this portion of road, and obviously, her car was on the edge of the precipice. Faith began to shake, her whole body trembling violently as a sudden feeling of cold enveloped her. Shock had set in. "Don't move, Faith." A slightly familiar voice rasped, and she knew instantly the young Lakota man she'd spoken to earlier was there to help. She was inexplicably comforted by his presence. Knew somehow he'd save her. It was insane that she should be so reassured—after all, she didn't know him. But she somehow knew the essence of the man. He would not let her die. "Just sit very still. They are hooking a cable on your car to stabilize it, and as soon as I can, I'll get you out of there. Nod if you understand me." She moved her head up and down slowly, causing a spark of pain and dizziness. His voice faded as she fainted again. John didn't know what had happened. One minute he was edging the door open, ready to grasp the slender shoulders and draw her out. The next instant he was thrown toward her and felt the sickening sensation of falling as he pitched into the interior of the vehicle, rolling over the woman and smashing his head against the far window. The car lurched and began to slide at what he figured was a forty-five degree angle, hitting the boulders as it went skidding and sliding into the gorge. He tried to lean forward and grasp the wheel to balance himself, but he had no momentum, and each time the car struck a boulder he bounced and fell back. The car began to roll and John caught the woman as her body shifted. Holding her with one hand cradling her head, he watched earth and sky change places as the car careened to the bottom of the gorge. "What the hell…?" he mumbled to himself, standing up and trying to take stock of the situation. "What's going on?" "Cable snapped," Holds the Sky intoned in a faraway voice. "You died." "Did I ask you?" John stared at the wavering apparition, brushing glass and dirt from his shirt front. "You asked somebody…and I'm the only one here besides you…and her." The spirit guide nodded toward the ground. Looking down, John saw the woman, her eyes fixed on him as unwaveringly as though she were dead. But she breathed, her breasts lifting and falling slightly. Also he could see the throb of pulse in her slender white throat. He leaned down and touched her face. Her skin was clammy and he thought she must be in shock. So was he, he realized as his knees buckled and he sat hard, sliding partway down the gravelly hill. Cradling his throbbing skull in both hands, he felt gently for the bump. Winced as he touched it and drew his hands away bloody. Dead men don't bleed, he thought irrationally. "You are mistaken. She lives and so do I." "In that world, you are dead," the specter answered, nodding to the sky. John looked up. A single cloud drifted overhead, the sky as clear and blue as a summer day. How could that be? It was late December. There'd been a snow storm. He felt the ground beneath him. Dry as a bone, not a drop of moisture. The gravel bit into his buttocks through his dry clothing. Dry? But he'd been covered with wet snow just moments ago. He looked at the woman. She lay sprawled on the grassy bank, her clothing as dry as his. "Where is the Lexus?" He looked to the place where his Spirit Guide had been and saw nothing, not even the whiff of smoke that usually followed his departure. "Where did you go?" John's head began to pound and he crawled up the embankment to stretched out next to the woman. If they truly were dead, at least they could lie close and comfort each other until their spirits were taken to the next world. Grasping her slender hand in his, he closed his eyes. He wondered if they would go to the same place and his headache began to fade. Sleep overcame him instantly. Oh, Diane - this is magnificent! You know I'm stuck on your Lakota series anyway, but this excerpt is fabulous even for you. I wish you many, many sales! This is a comment for the writer of the Mi Amore book. I could not comment there with my Google identity. Maybe someone will be kind enough to post this to the correct place? It is either Mi Amor (Spanish) or Amore mio (Italian). It may cost you sales if you mix up the two languages. I'm intrigued by the mixture of history, romance and spirituality! I love Native American stories and now I have another series to buy - yours. The excerpt is wonderful. Kate, thank you for your, as always, kind words regarding my books. Heide, I saw where you had computer trouble, and I know your poor finger is still healing, so I thank you much for taking the time to respond here. Dawn, Hope you loved the excerpt enough to want to read the whole book, if not the entire series. J.K., I hope you love this series as much as I do! Please keep me posted, and let me know how you are enjoying it. Alex, Thank you for your comments. It is always good to hear from a fellow writer. Where is the next installment? Once again, thank you all for stopping by! Next blog I'll talk about the work in progress, Moon of Tender Grass! I am so excited about this book and love the excerpt! As soon as I finish this comment, I am downloading your book. When I read "Bury My Heart At Wounded Knee" I cried for a week. So many people are misinformed about the past. It is great that you are telling the truth in your novels with style and talent. Hope all is well with you. Glad you like my subject and hope you like the book. I'm wanting your book list, so email me! And thank you bunches for stopping by! Great excerpt! I want your book (for the cover alone!) lol. Thank you for sharing! I'm glad you like the cover...I love his eyes, and that bone structure is fantastic. It's the same guy in the moon. Terrific model, eh? I think you'll like the story as well...Keep me posted!